Check out the latest PSD mock-up of our branding/identity series. Use it to represent your new branding, stationery design. Modern, professional, minimalistic style. Layered PSD file with smart objects. 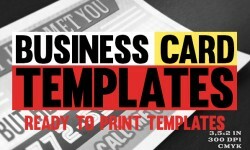 We have created these mockups by photographing real white business cards in a light tent. Most of the shadows are extracted from real hi-res photos to bring that smooth real shadow. We’ve also added a realistic reflections to make it look like it would reflect a real window. Just change them how you want. We’ve made this with Photoshop CC so you’ll be in the safe side if you’ve got it too. We hope this makes your day! Fully Customizable T-shirt Mockup including: – Smart Objects to easily customize your design. – Changing of the color of the shirt. – Texture overlay on the shirt for the realistic effect. Don’t forget to leave an apprecation if you downloaded this! Grab this fabric eco bag mock-up to present your logos, artworks, badges or texts in a gorgeous way. The high quality PSD bag mocku-up file is easy to edit via smart objects, the bag and the shadow are separated and you can change the background. 7 FREE Smartphone & Notebook PSD Mockups Includes: 7 .PSD files. Resolution: 6016 × 4016px 240ppi. This free Wine Mockup allows you to showcase your wine bottle label in a realistic way. Select the smart object in the psd bottle mockup and insert your design into it. Today’s special freebie is a Dispenser Bottle Mockup. Apart from the PSD file, you’ll also find one ready for use scene with texture background. Present your ID card format design, artwork or logo in a professional and appealing way using this photorealistic ID Card Mock-Up. Free Wine Bottle Mockups for commercial* and private projects. Created in Adobe Photoshop CS5. ~ 315MB Download. — Share rules: Feel free to share this thing like hell, but please relink to the Behance project site. If you want to share it on your website, please also mention my name and my website. Ta! (*Commercial: This is a freebie and I want to keep it that way. 6 Mock-Ups PSD free for your personal or commercial use. This project is a personal project that I did to support my personal portfolio.Looking to put my designs into all the Apple devices, I have to create a mockup for it and I think it would be great to share this project with everyone. New Free Macbook Photorealistic Mockup — photorealistic 6 + 1 PSD Mockups of the iPhone 5 and MacBook. You can use them for your responsive layouts or applications for your creative works. Easy to use because of smart layers. Ready to present your creative works. In short: This is an awesome day. 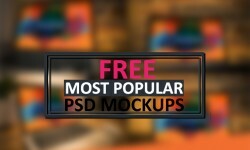 So that’s why I like to share one of my latest mockups with you for free. Free PSD business card mockups with iPhone 6 mockup on wooden table in office. You can use more filters to stylize your picture and present your corporate idenity better.